Lufia: The Ruins of Lore. The Magical Quest Starring Mickey and Minnie. Mech Platoon. Gameboy DS Multicarts. Duke Nukem Advance 3D GBA Walkthrough. Ed, Edd n Eddy: Jawbreakers Game. Dungeon's and Dragons Eye of the Beholder. Golden Sun: The Lost Age. Golden Sun Gameboy Advance Game FAQ. Jurassic Park 3 Park Builder. Justice League: Injustice for All. LEGO Island 2 for GBA Guide. Medabots RPG for Gameboy Advance. Megaman Battle Network 3 Blue Walkthrough. Megaman Battle Network 3 White. GameBoy Advance Game Cheats, Reviews, GBA Walktrouth. Nintendo DS, GB Micro, SP and Wii. Pokemon Emerald proves that Gameboy Advance Pokémon game formula still works. As a result, the game remains an enjoyably light RPG experience. Same great Pokemon flavor still stands up incredible lasting value fun, catchy music better connectivity support. Gameboy Emulator. Play GBA roms on PC using VBA VisualBoy Advance or VBALink with Multiplayer Link Cable Support or No$GBA and Boycott Advance. Can play the most popular Gameboy Games like Zelda, Nintendo DS Metroid, Mario and The Urbs: Simz in the City - Strategy etc. Players who have already soaked up everything Pokémon Diamond, Ruby and Sapphire have to offer will probably appreciate the largely subtle changes Emerald makes, thanks to the "gotta catch 'em all" mentality bred by the series. Pokemon Emerald game takes place over land and sea and pits you against the Poke Team Aqua and Team Magma from Saphire and Ruby. This time around, Pokemon will show off their moves prior to battle, perhaps as a sort of taunt. We are working on Reviews for Kingdom Hearts: Chain of Memories The Incredibles, Grand Theft Auto Advance, Pokemon FireRed Version, Super Mario Advance 4: Super Mario Bros. 3Yu Yu Hakusho: Tournament Tactics, Dragon Ball GT: Transformation, Pokemon LeafGreen Version.You will also see Cheats and cheat codes for these games as well as tips, FAQs and Walkthroughs. Gameboy Advance Flash Cards and GBA ROM Linkers. Reviews of Nintendo DS SuperCard Lite ECube EZFA F2A Ultra XG-Flash Turbo Plus EZ-Flash G6Flash Flash2Advance and many more linkers. Programs for playing Sega Roms NES roms and even SNES roms on Gameboy, Nintendo DS, Game Boy Micro or NDS Lite video game consoles. Gameboy Multicarts - Multi Game Carts for Gameboy Advance, Nintendo DS, NDS Lite and GB micro. One such GBA Game cartridge can hold up to 250 games: About 5 GBA original and a couple of hundred Nintendo NES Classic titles. Welcome! I am Vegita, Guardian Of Destiny, and I see you want help for the Gameboy Advance game "Legacy of Gokuu". Hey, that's cool. I've been writin' guides for Dragon Ball games for quite a few years, so I feel I have a bit of a handle on this sort of thing. Just added GBA Castlevania Aria of Sorrow. I do not own the rights to this game, the names of the characters in this game or FAQ, or have any ownership whatsoever of this game (except for the cartridge sitting next to my desk, that is). Those are the property of their respective owners. This FAQ is wholly the property of ME, though, and If I find a website with this FAQ on it, and it has been changed in any way, does not give me proper credit, or is selling it without my knowledge and consent, then I WILL have my lawyers contact that site. - Gameboy Advance SP Games and Accessories. - Cheap used & free GBA Games. - Nintendo DS Cheat Codes YuGiOh. - GameBoy DS Cheat Code section. Top 20 topics that will be reviewed Yugioh Pokemon Download, English new game shark code. Romz Pokemon fire red gba video DBZ rpg fire emblem action replay code emu. Flash Advanced shaman king yugioh. Mega Man Dragonball Z. Play Buus Fury survivor series Final Fantasy FFAT Megaman zero 3 pokemon ruby flash card movie player emerald walk through naruto latest yu gi oh zoids legacy kingdom hearts beyblade tony hawk underground. Nintendo DS Multicarts - Customizable NDS / DS Lite multi-game cartridges where you can select Nintendo DS games that you would like to have on your DS multicart . On avagage one cart can fit around 30 games but if you select small games you can have more than 100 games in one multicart compilation. Take a look at the game selection at » NDS multi. Hey folks, if you're going to write me about this Nintendo 3DS game, I must insist that you put, in the subject header of the e-mail, the name of game that you are writing about. I am tired of having people write me, asking about games that I've written for, but they never tell me WHAT game they need help with. GBA Rom Downloads. Download Top free game rom files. Tactics Ogre, DragonBall Z, Spider Man, Pokemon roms, LOTR Third Age, Zelda Minish Cup gba roms FFTA etc. Gameboy Color - Classic NES - Nintendo DS at GBAnet. With R4i 3DS SDHC flash card you can play emulated GameBoy, NES, GBC, SEGA games and of course Nintendo DS ROM backups, Movies and MP3s on your DS Lite, DSi or Nintendo 3DS. 3DS R4i SDHC flash cartridge! Nintendo 3DS R4 Card - the best R4i Gold flash chip for playing DS games on new Nintendo 3DS consoles. 3DS R4i SDHC and SuperCard DSTWO 3DS with GBA emulator and DivX player. GBC emu Game Boy Color rom Emulator TGB Dual English with multiplayer link support for trading Pokemon roms. GBAnow - emu news rom tool downloads release list and reviews. 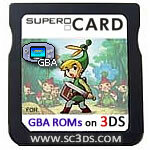 GBA ROMs Gameboy Advance Roms Free downloads. Emulators and directory of links to commercial ROMsites. Emu-Zone.net - GBA Rom Flash Cards Gameboy Advance backup card reviews EZ-Flash XG EZ2 XG2 Flash2Advanc Ultra ECube EZFA. KLKemu - emulators for GBA roms NES NDS GameGear GBC and SNES roms.